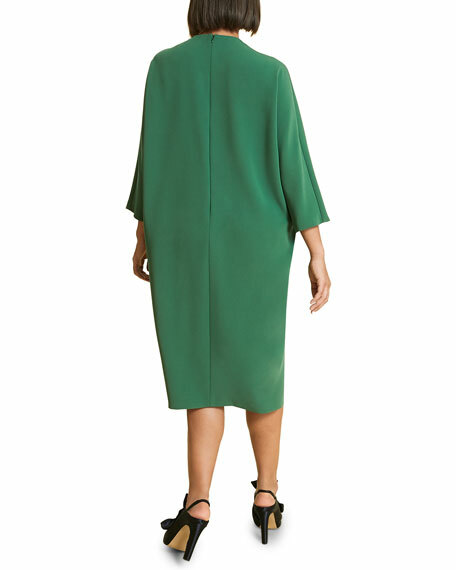 Marina Rinaldi "Debutto" dress with cascading flounce down center front. Approx. 43"L from shoulder to hem. V-neckline; frill detail on front. 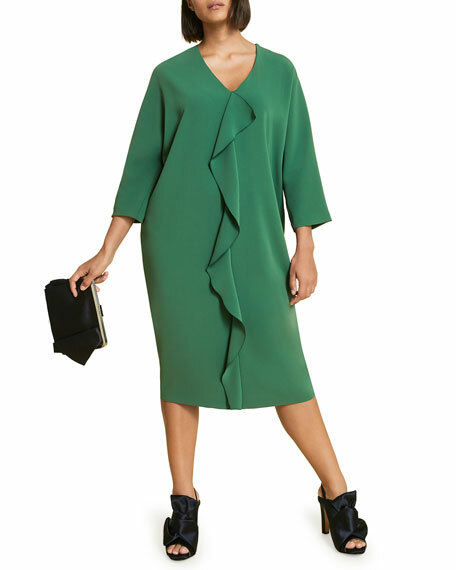 A revolution began in 1980 when Max Mara Fashion Group formed Marina Rinaldi with a focus on curvy women from size 12 and on. 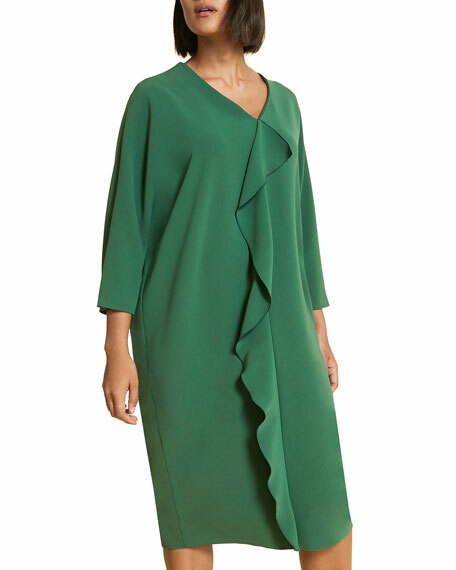 Different collections under Marina Rinaldi were created to meet the demands of plus size women with a contemporary overview. The collection of functional travel wear, denim with technical stretch, sporty coats, and special occasion dresses has also expanded to include various accessories such as scarves and jewelry to complement a formal urban style. For in-store inquiries, use sku #2976286.